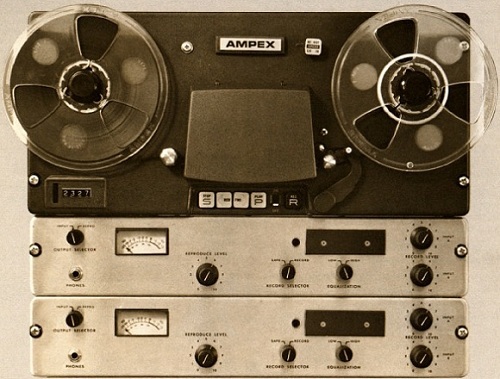 Ampex Models AG-500 and AL-500 Magnetic Tape Recorders and Reproducers provide high quality performance for professional audio applications. Both models are housed in a compact configuration which makes them especially suitable for use as portable units; they can also be mounted directly in standard 19-inch racks. Both the AG-500 and AL-500 consist of a two-speed tape transport assembly, ahead assembly (installed on the transport), and one all solid state electronic assembly for each record/reproduce operating channel. The equipment can be provided either mounted in a specially-designed carrying case, or unmounted for installation in a custom console or in a rack. The basic difference between the AG-500 and AL-500 equipment is in tape speed. The Model AG-500 is intended for use as a general purpose, audio recorder/reproducer; as such, optional tape speed pairs available are 3-3/4 and 7-1/2 ips (inches per second)or 7-1/2 and 15 ips. The Model AL-500 is designed for long term operation in communication logging applications; a single tape speed pair of 15/16 and 1-7/8 ips is available for this model. Model AG-500 equipment is available either as a one channel or two channel equipment. The head assembly for the one channel version may provide either full track or half track recording and reproducing; for the two channel version, it may provide either conventional two track or quarter track operation. Either two channel or four channel record/reproduce capability is available for the Model AL-500. Heads for this equipment are all of the quarter track variety. Both models come in two basic versions, designated as Domestic and International. Domestic equipment requires a 105 to 125 volt ac power line. International equipment is provided with a switch which allows the selection of either 105 to 125 volt or 210 to 250 volt operation. Either version can be ordered for use with power line frequencies of 60 Hz or 50 Hz. Foundational text and photography courtesy of the AMPEX literature. 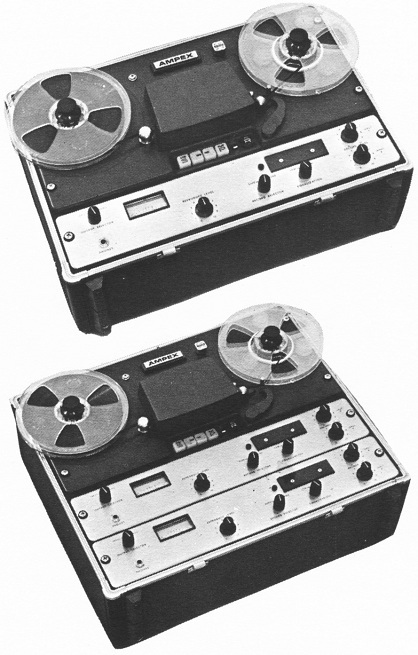 Do you have content, to add, about the Ampex AG-500/AL-500 Tape Machines or associated topics? Please feel free to Share it, here!